Poetry Square is located at the end of the Xizha Street, close to the outdoor Water Theatre. It is a stately plaza bordered by the elegant facade of an old silk factory, shops and hostels. Historically it was used as a place for silk merchants to dry out silkworms and silk. 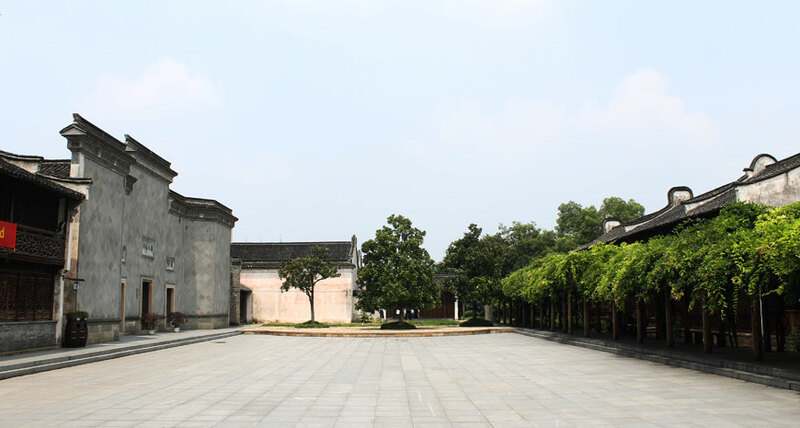 When renovated in 2008, the poetry of many famous historical people from Wuzhen was carved into the square in many places, thus giving its name "Shi Tian" - a "field of poetry." It is an important site for many of this year's activities.